At noon today I was sworn in to the Maryland House of Delegates to begin my second term. 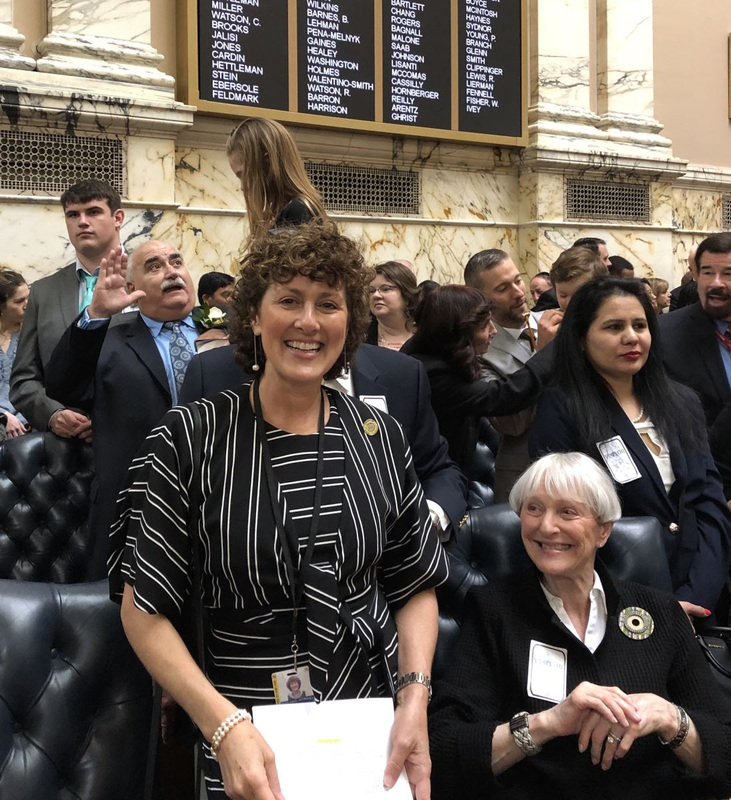 I’m very excited to join 140 of my colleagues in making policy and adopting laws that will make the lives of my constituents – 11th district residents – and all Maryland citizens better. Over the next 90 days, there will be many important issues before us. The affordability of health insurance, prescription drugs, and higher education are among the issues we will tackle. I expect we will also consider whether to raise the minimum wage, legalize sports betting, and enact a clean energy jobs bill that will raise the renewable energy standard. I will continue to serve on the Appropriations Committee, which has the critical role of formulating a budget, based on the budget the Governor will present to us in 10 days. As I have in prior years, I’ll provide you with regular updates throughout the session where I’ll have the chance to share with you my legislative agenda and let you know what’s happening in Annapolis. 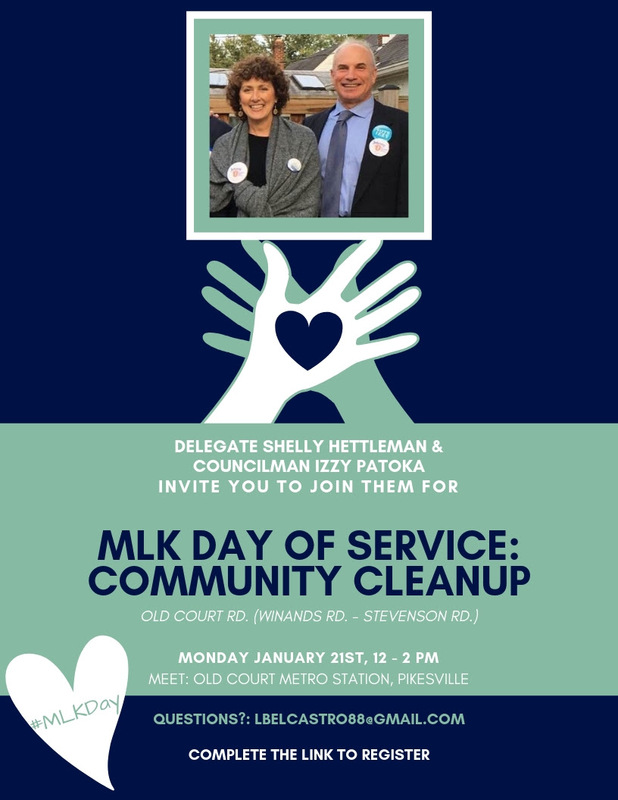 In honor of Martin Luther King Day, please join 2nd District Councilman Izzy Patoka and me for a Day of Service. We’ll be doing a community clean up. You can click here to sign up. I look forward to hearing from you in the days and weeks ahead. 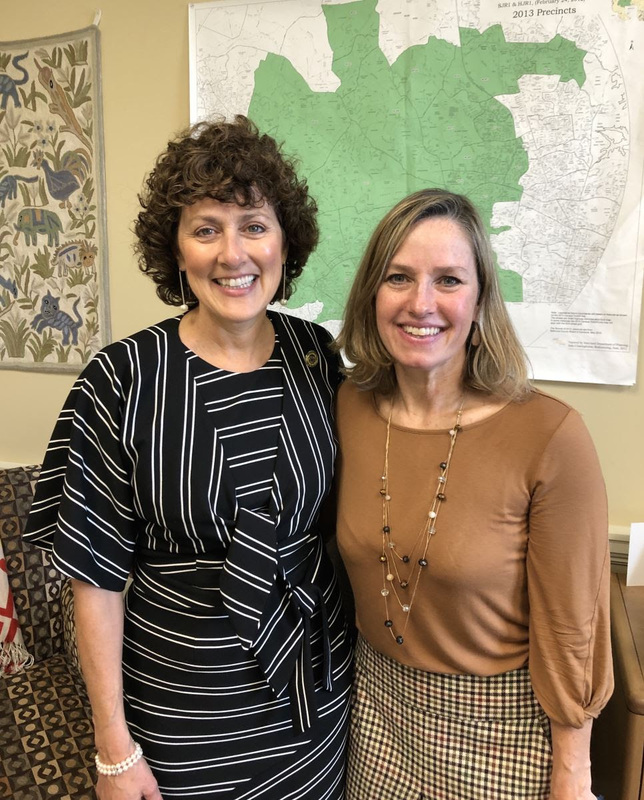 Meet my new Legislative Director, Maura Dunnigan. Please let us know how we can be of assistance to you. It is an honor to serve, and I thank you for the opportunity to work on behalf of the community! Please be in touch. P.S. Please like my Facebook page, where you will find regular postings and follow me on twitter @shellyhettleman. If you believe you received this message in error or wish to no longer receive email from us, pleaseunsubscribe.